Over 100 individual parts go to make up a model of this 40-ton giant tank. 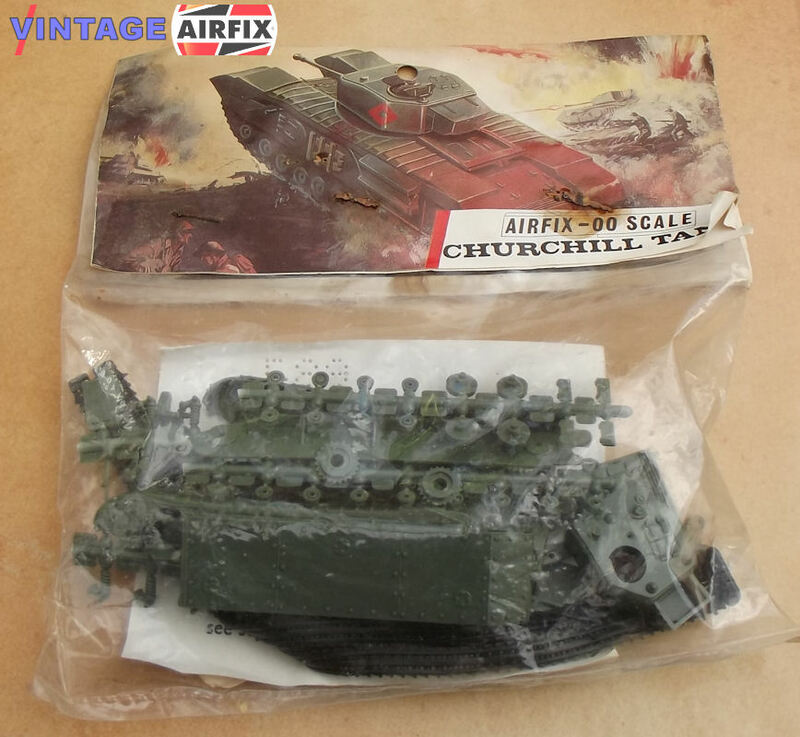 Faithfully reduced to 1/76th scale, the Airfix model of the Churchill is in perfect scale relationship with the other Airfix tanks and "00" gauge Scale Figure Series, as well as all the 1/72nd constant scale aircraft, trackside and rolling stock series. The 75 mm. gun and turret actually move and the caterpillars are free turning on their gear drivers and train of 11 bogey wheels.